Video games rarely get a fair trade when it comes to their movie adaptations, maybe because there have been so so SO many bad video game adaptations over the years. Ubisoft has created an incredible video game franchise with their Assassin’s Creed games, taking open world technology back in time for a series of historical action-adventures. Most of the games feature a bartender named Desmond Miles who has a long bloodline of assassins in his family that allows him to travel back in time using something called an Animus to document those times for Abstergo Industries. He isn’t given much of a choice in the matter. Ubisoft Motion Pictures, the film division of the company, has been developing the games into a film for 20th Century Fox, starring Michael Fassbender, and as luck would have it, ComingSoon.net spoke with Fassbender earlier today for his upcoming Western Slow West, and we wanted to learn more about the long-in-development Assassin’s Creed movie, for which he’ll be reuniting with director Justin Kurrzel and Marion Cotillard from their yet-to-be-scheduled Macbeth adaptation. 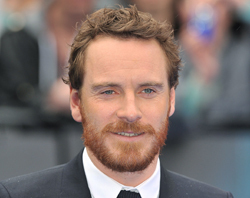 Fassbender was incredibly coy on which character or characters he might be playing, since the games have such a vast array of stories and characters on which to focus. It’s been stated previously that he will play Desmond Miles, but that may not be entirely the case. “You don’t know that. Don’t listen to what they tell you, that’s the first rule,” he said with a smile. We also knew better than to ask the actor about Magneto’s role in Bryan Singer’s X-Men: Apocalypse, since we have already been down that block with his new co-star (playing the title villain) Oscar Isaac. You can watch this portion of the video interview below and then check back next week on ComingSoon.net for what Fassbender had to say about Slow West, which will get its theatrical release on May 15.